WordPress is a simple to use CMS (Content Management System). It can be use for a website or as a blog. It is the most popular CMS. Over 60 million user have chosen WordPress as there CMS for their website or blog. With the use of plugins, you can customize WordPress, more to your liking. There are a lot of themes to choose from, when it comes to getting started. There are apps for WordPress, which let you update your website or blog on the go. 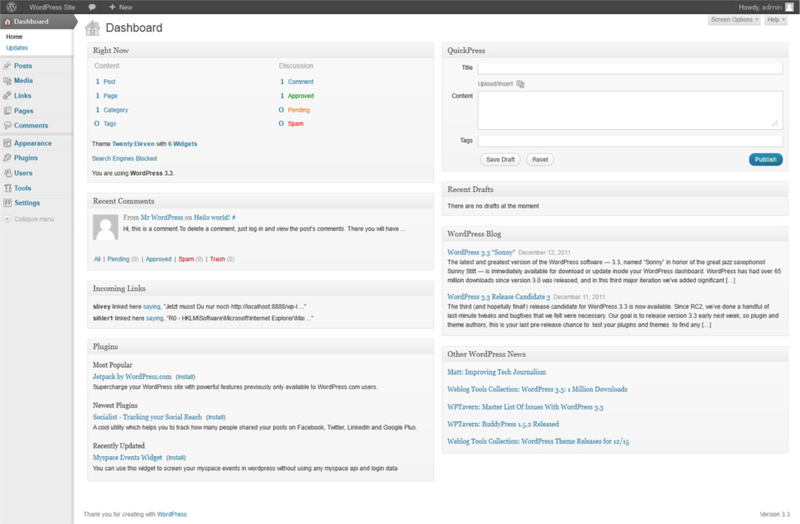 WordPress has an easy to navigate admin side. When it comes to posting pages or blog post, it is as easy as using the basics of Microsoft Word. I can setup your new or existing site with WordPress. With WordPress you can maintain your site with ease, without the need for a web designer.